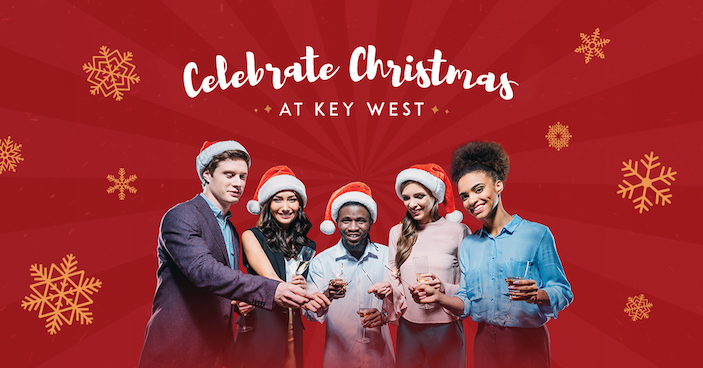 Key West Bar & Grill on Bournemouth Pier is available for private hire for Christmas parties and is advising local businesses and groups to book early to avoid disappointment. A Christmas party with the traditional 3 course Christmas meal starts at £31.95 per person and the Christmas Finger Buffet starts at £21 per person (minimum numbers apply) Book before 31st October for a discount of £2 per person! A bookers bonus and offers on welcome drinks also available.